This entry was posted on August 19, 2011 at 8:08 am and is filed under Uncategorized. You can subscribe via RSS 2.0 feed to this post's comments. I love a good wing, and these were pretty darn good. 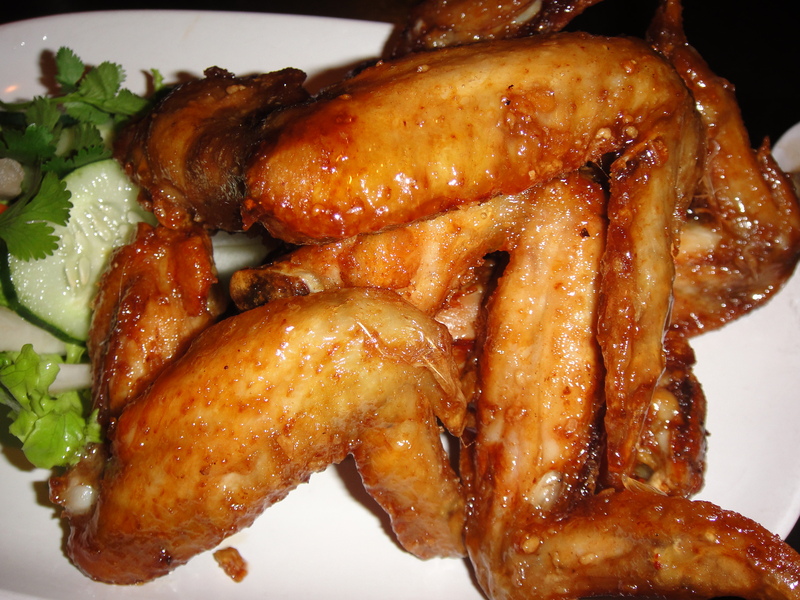 Even with the very very slight fishy taste from the fish sauce, I loved these wings. It was pretty cool seeing something that we’ve already had be featured on “The Best Thing I Ever Ate.” We actually also saw an episode where the Malasadas with Haupia filling was featured (see the Leonard’s bakery post from July 2008) so it was cool two things we’ve had featured recently. Mmmm…I remember this and now I miss it. Thanks for recommending Pok Pok. Marvin and I enjoyed their food so much!